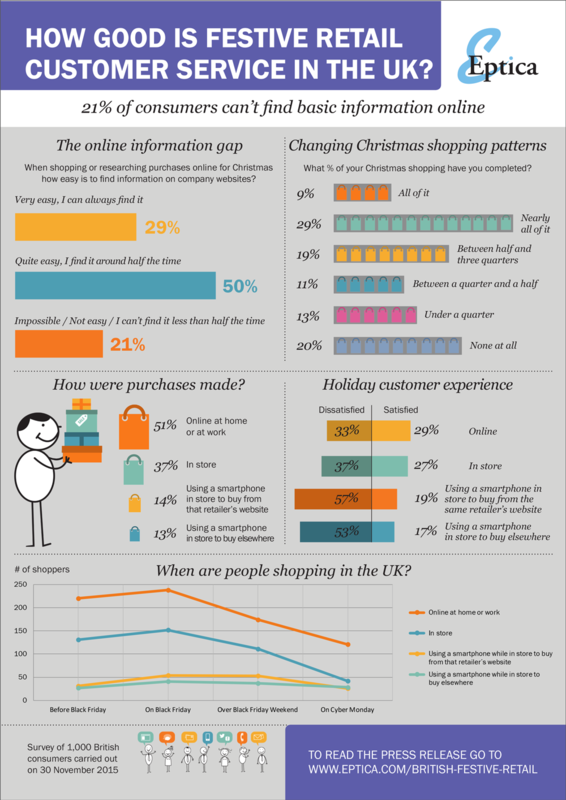 Christmas Retail Customer Service | Eptica - Multi Channel Customer Interaction Software. Email Management. Web Self-service. Live Chat and Agent Knowledgebase. Despite record UK sales of £1.1 billion on Black Friday, British consumers are much less satisfied with retail customer service compared to Christmas 2014. 21% of consumers complained that it was impossible or extremely difficult to find information on retailers’ websites, a threefold increase from 2014’s 7%. This is according to our new research - please complete the form for the infographic.